Well, it is coming down to the final stages of Nails Magazine Next Top Nail Artist 2016. We have seen some fiercely good work from everyone involved. As a nail technician of over 25 years, I am taking my hat off to all who participated! Your work has been incredible to see and to try to emulate. Thank you and BRAVO! A little quote detailing how NTNA works! So, now the three finalists are showing off more of their talents to help you decide who should be NTNA 2016. The finale is actually a multi part challenge (sponsored by CND) in which Beauty Changes Lives, (the non profit organization designed to build awareness of the career opportunities that our beauty and wellness industry offers) is the inspiration. A large contributor to changing people lives in the beauty industry is Tippi Hedren. 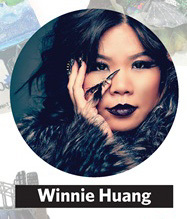 She is a well known actress, animal rights activist and is credited for pioneering the Vietnamese-American Nail Professional movement of the 1970’s. You can see each of the gals individual video’s about their interpretation of Tippi Hedren’s life at the links below their pictures. A very international finalist panel with three different countries being represented. 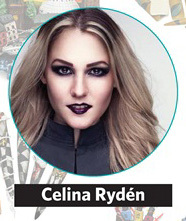 Celina Ryden from Stockholm, Sweden. Sarah Elmaz from Melbourne, Australia. And Winnie Huang from Vancouver Canada! Another interesting event happening in Chicago will be held on Saturday, March 12th at Chicago’s Soldier Field. BCL will host it’s 4th annual Beauty Changes Lives Experience, where beauty manufacturers can showcase the work the work of three talented artists that best represent the BEST OF THE BEST in the next generation of beauty pros. 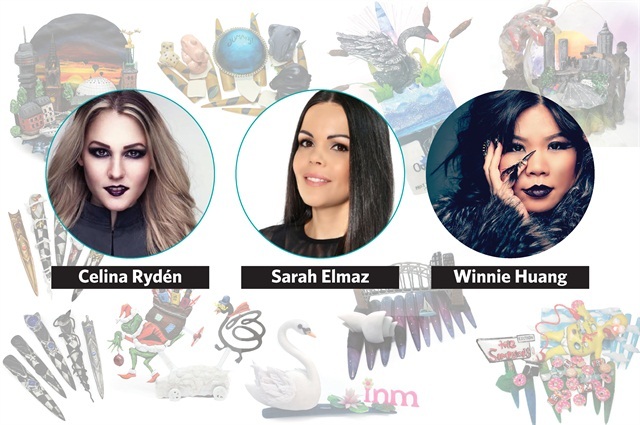 These three lovely and inspiring gals will be representing CND at the prestigious industry event! Voting is now live! Go on over to those links so you can vote for your favorite! What a wonderful experience for these ladies. I look forward to seeing what the next challenges are as well.